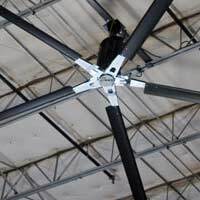 Get the most out of your HVLS fans with the next generation of fan control — iFAN®. This centralized system allows you maximize the benefit of your large fans by enabling centralized HVLS fan control. 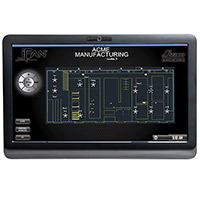 With the graphic interface of iFAN®, you can pinpoint exactly where fans are located within your facility, aiding in troubleshooting efforts, clarifying facility layout and improving group fan control. You can also easily make real-time adjustments and measure key performance statistics. With the iFAN® system, you’ll have the ability to network up to 30 fans per standard configuration, while controlling each of them individually. It’s the simplest way to cut down on energy costs, while efficiently maintaining the temperature level of your warehouse.